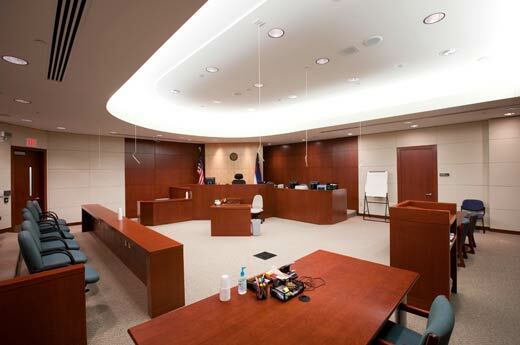 The Douglas County Justice Center consists of five interior finishes: two courtrooms, two Judge’s chambers and a support area. 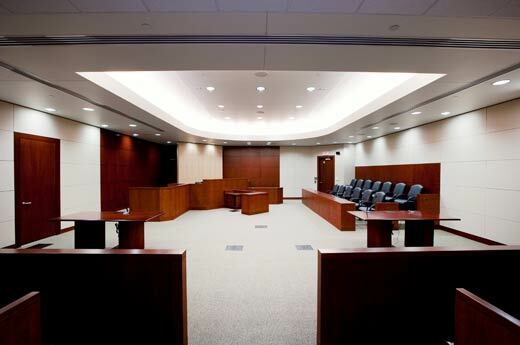 All work was performed in high-security areas of an occupied Justice Center and County Jail. 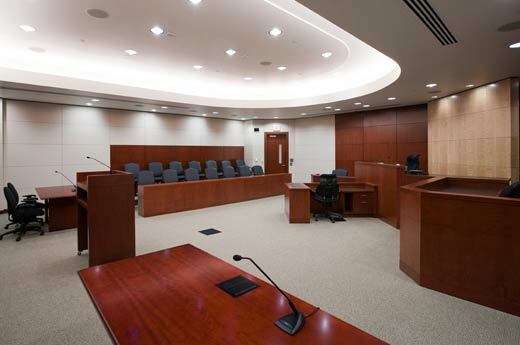 In order to avoid impact to daily operations, all work was performed at night. 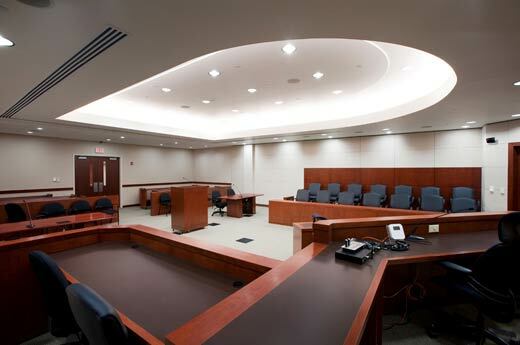 The Justice Center features solid cherry paneling, Judge’s benches, witness stands, court reporter stands and Jury boxes. 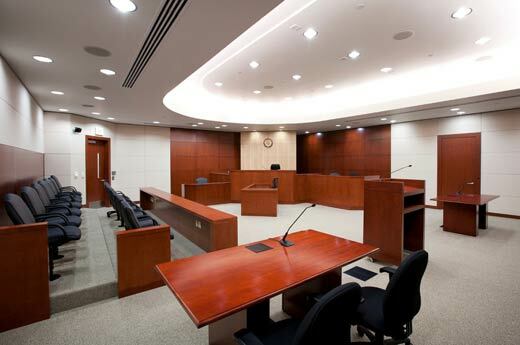 In addition, acoustical sound panels were installed on all remaining walls and Kevlar bulletproof lining was incorporated on all millwork.